Five friends. One deadly secret. 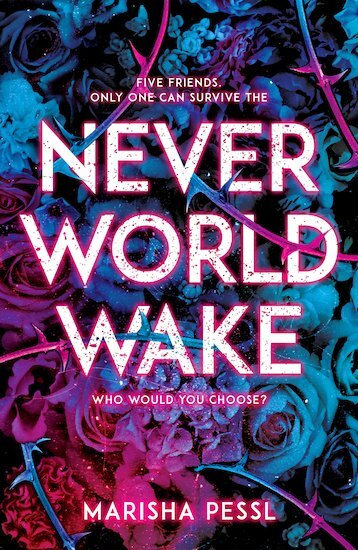 Who will survive the Neverworld Wake? It’s great to be young, gorgeous and rich. Why not celebrate it? So five old friends from an elite prep school reunite a year on. They have a night out. Then, driving home, they nearly crash into a car on a deserted road. Phew – lucky escape! Or is it? Back at the mansion where they’re staying, a storm rages, and a mysterious man knocks at the door. He brings dire news. Now the friends must make a choice: one will live, and the rest will die. And they must all agree. So begins the Neverworld Wake. The nightmare. The nothingness. The jolts and backbends in time. The memories that come alive. How will they vote? Who will survive? *Please note this book contains mature content and language more suitable for older readers.